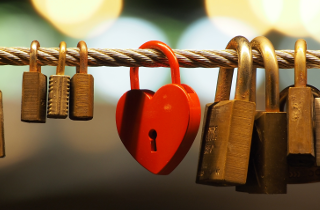 Purchase a Love Lock to lock your love to our BELAMERE SWEETHEART BRIDGE. Send us your initials and a special date that will be etched into your love lock and then given to you upon check-in so that you may lock it to our Jant Sweetheart Bridge along the waters edge. Package includes: One Belamere Love Lock with your initials and a special date etched in.